After months have gone by and as the journey of pregnancy heads towards an end, and before the entry of the newest member of the house takes place, parents have to take multiple important decisions. Which school the child would go to, whether a bigger house is needed, which doctor would tend to the baby, what expenses would come into play and so on. But right before the big day, parents have to start making another big decision. Naming the child. Some do it before, some do it after and there are some who have the names of the future kids planned much much in advance! But all husbands and wives take their own time as they sit down to decide what to call their baby boy or girl. Both the mother and father, spend enormous amounts of time pondering about the future name of their child and there is a lot of discussion and confusion that may take place in the process. It's all a game of probabilities for some parents who chose to keep the gender hidden and thus spend hours deciding what to name the baby if it's a girl and what to name a baby if it's a boy. Detailed lists are made, relatives and friends are called and asked, memory is questioned as we race back to remember all the good names we've heard and then both the husband and wife sit down and tally their lists to narrow down on good names! While the popular phrase goes, 'what's in a name?’’, when it comes to naming a baby no stone is left unturned, or in this case no paper is left vacant without random baby names filling it! Back in the day we'd depend on the elders of the house, our grandmothers and great grandmother's would bless the child with a name that it would carry all its life or maybe the name of a beloved family member would be passed on to the child as a token of fond memory. Jyotishis and pandits would be called to look through charts and kundlis made according to the exact time and date of the baby's birth, what the auspicious letter for his/her name would be. And then after much deliberation, the parents would finally settle down to a name of their liking. My parents still believe that whenever something bad happens to me, it's because they didn't name be according to the alphabet dictated by our dearest Panditji! For all of us, naming is such a big decision. It's something that can't be taken in the split of a second. It's almost like a planning committee sits down, exchanges notes and then finally the most pitched idea is executed. And it shouldn't be a simple process either, should it? We take pride in our names so often because we know our parents thought well and deeply about what to name their kids, such that it becomes a part of our identity and we carry the meanings of our names all our lives. We all want to make sure that our children find the best in lives and so we spend hours, days and months looking for adjectives of joy, happiness, freedom and so many more positive qualities in multiple languages to make sure that our children imbibe the same in their lives. As times change, we have multiple new ways to look for names that help us make that decision. Just go online and google baby names with any alphabet you want and you'll find a plethora of names, both common and uncommon, with meanings right next to them. And so you know when you pick up the phone of parents to be, their Google history would be filled with multiple sites each advising them what to name their child according to gender, alphabet, meanings, horoscope, time and date of birth and so on! 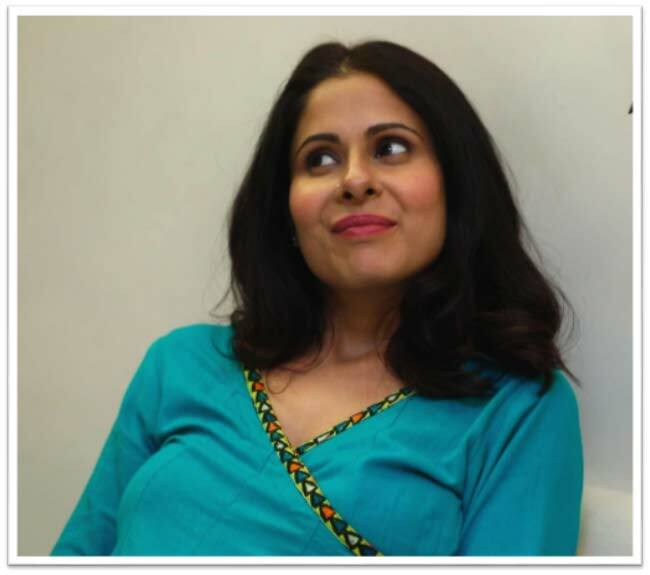 So what happens when ROHINI (Chhavi Mittal) and RISHI (Karan V Grover) get down to one of the most important decisions of their lives. Who do you think successfully brings in the chosen name? And what are they both looking for while naming their child? 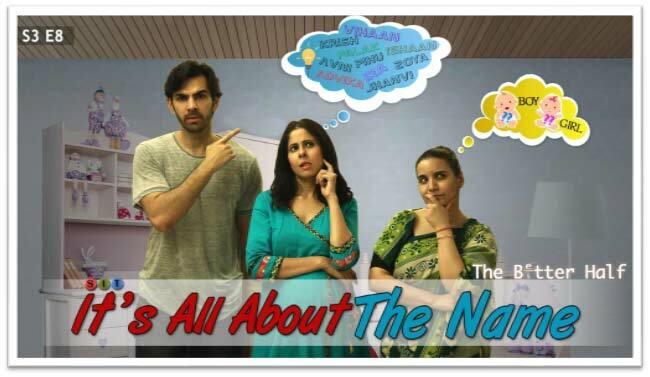 To find out, watch SITThe Better HalfS3E8 IT’S ALL ABOUT THE NAME!